WHY DO WE FAIL AT WEIGHT LOSS? Let's admit it: Most of us want to lose weight. And more often than not we fail & get demotivated! You deserve to feel good and look good!! Making lifestyle modifications is the key to successfully shed pounds - not only in the way you eat and exercise, but the way you see things in life. Life will never be stress free, learn to cop with it. 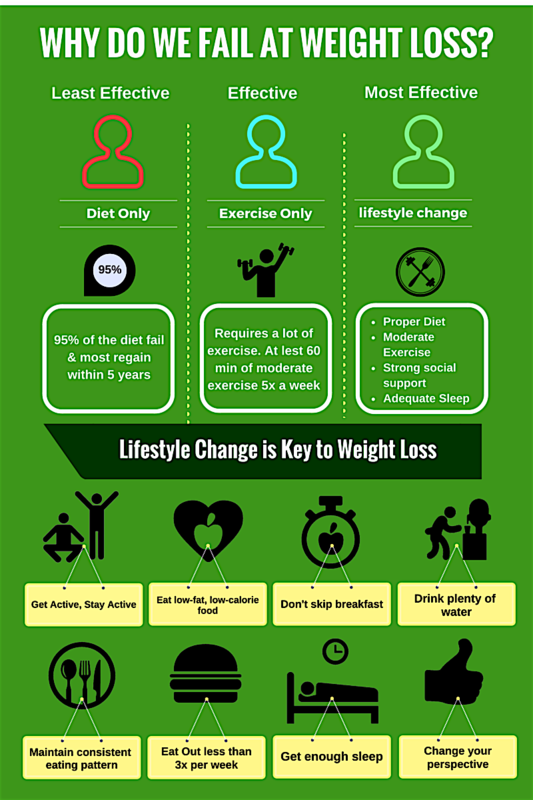 Weight loss is dependent on how effectively you make those small adjustments in life!